After assessing your goals, financial resources, and risk tolerance, Stifel will develop an asset allocation strategy aligned with your specific needs. Your asset allocation is important to the investment selection process and can have a significant impact on your investment portfolio. Assessment of your current financial resources and investment objectives. Defining a diversified asset allocation designed to meet your stated objectives, time horizon, risk tolerance, and income tax situation. Developing an investment strategy specific to your situation and circumstances to implement your asset allocation. Monitoring and reviewing your investments to ensure they continue to meet your objectives. Your asset allocation represents how your assets are diversified across different investment types, such as stocks, bonds, and cash. Stifel will further refine your asset allocation by defining asset classes in terms of market capitalization, style (value or growth investing), international or domestic securities, and the tax implications of each asset class. Providing periodic monitoring and revision, as required. While asset allocation does not ensure a profit or protect against a loss, a proper asset allocation always balances your comfort with investment risk with your desired investment returns. Contact Bob today to learn more about financial planning services offered by Stifel. Once your asset allocation is set, you’re ready to move onto step three of Stifel’s financial planning process, developing a customized investment strategy. 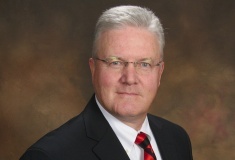 Bob Stockdale, CFP® is First Vice President/Investments and Branch Manager at Stifel in O’Fallon, Missouri. For nearly 20 years, Bob has helped clients develop and navigate investments and retirement plans. Every Saturday, Bob hosts On the Money with Bob Stockdale from 11 a.m. to 12 p.m. on FM News Talk 97.1 in St. Louis. Would you like to contact Bob? Fill out the form below to request a portfolio review or ask Bob a question about your investments. You can also call Bob directly at (636) 695-2650. Join Bob every Saturday from 11:00 a.m. to 12:00 p.m. for On the Money with Bob Stockdale on FM News Talk 97.1. Bob will answer your questions and provide updates on the latest market news. Visit the Radio Show page to catch up on the latest episodes of On the Money. Stifel, Nicolaus & Company, Incorporated, Member NYSE & SIPC. Asset allocation does not insure a profit or protect against a loss. Stifel does not provide legal or tax advice. You should consult with your legal or tax adviser regarding your particular situation. © 2014 Bob Stockdale. All rights reserved.